Host your function with us before June 30, 2019 to take advantage of our exclusive wedding reception offers. Find out more using the buttons below. Our Captain’s Lounge contains all the features you need to make your wedding reception everything you’ve ever dreamed of! The Captain’s Lounge is your own private room available for exclusive hire. Features include HD televisions for slideshows and media, microphones for speeches, and the choice to have your own entertainment. Tacking Point Tavern’s little slice of paradise - this open outdoor function space is the perfect spot to host any size wedding reception, from crowded cocktail parties to intimate gatherings with friends. The Beer Garden is also a great place for a more casual wedding reception for those with a laid-back style wedding.You also have the choice to play your own media through the big screen. Fall in love with Port Macquarie’s favourite wedding venue. Tacking Point Tavern can host a range of wedding formats and sizes across our three recently renovated event spaces. Our coastal wedding venue is equipped with modern facilities to ensure your dream day has everything it needs to be a memorable event. 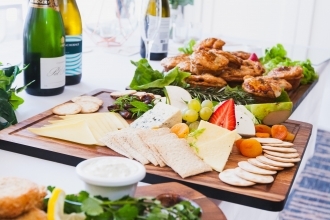 To start planning your wedding reception at Port Macquarie's favourite venue, please complete the form below and a member of our team will be in touch.